PartyPoker is one of the most renowned and popular online poker rooms in the world. It also happens to be the among the oldest poker rooms. It was established in 1997 as an online casino, and in 2001, the first poker room was introduced. Soon afterwards the rest of the online casino categories were overshadowed by the rise in popularity that the poker rooms were receiving. Currently, PartyPoker has become a hot favorite among poker enthusiasts. PartyPoker is a licensed provider of web-based poker rooms. They carry licenses issued by the established Gambling Commission which isbased in UK,and also by the Gibraltar government. The full features of PartyPoker are available in most countries across the globe, with the exception of the United States. PartyPoker rose to popularity as a leading online poker room due to their impressive marketing campaigns which highlighted the high-performance software that the online portal used to ensure smooth, intuitive, and simple game play.This allowed PartyPoker to rise to the top in 2003 among other online poker rooms, a prestigious position they retained for quite some time afterwards. Unfortunately, this rise in popularity and success was rather short-lived. Nowadays, it seems to be struggling to retain their number of users. To counter this, they have introduced a number of incentives, rewards, and loyalty programs. On top of this their recent game model which targets social gamers, along with their extensive game range and high quality of games, has allowed them to recover a bit. Despite the name, PartyPoker also offers other options of games. The available games are video poker, blackjack, roulette, more than 200 slots, live casino and table games. So, basically there is a little something for everyone’s tastes. Moreover, you can even play without making a deposit! This is possible by using the ‘play money’ option. This way you can try out different games and find a new favorite without having to worry about your losses. There is plenty of action happening at PartyPoker Casino all the time. These include promotions, tournaments and freebies. Some of the PartyPoker promo code is mentioned below. These are only some of the chances you have to win big bucks at PartyPoker. Tournaments- There are a number of tournaments, including a weekly tournament where players stand to win millions of dollars! Welcome Bonus- PartyPoker Bonus Code for new players includes a 100% extra deposit on your first deposit up to 500 dollars! Jackpots- the Sit & Go Jackpots is one of the many ways to win big jackpot prizes in minutes! Leaderboards- The better you play, the more bonuses you stand to receive with the leaderboard. Happy Hour- This offer allows you to double your earnings in cashback points in any cash game played during the happy hour. When it comes to online casinos and poker rooms, transparency is a much-needed feature. However, PartyPoker has neglected this aspect. Over the years there have been several instances where the lack of transparency in the gaming policies was made apparent. This did negatively influence the online casino’s popularity among its users. We hope they will pay more attention to this aspect in the future and take measures to improve the transparency and fairness in order to lead to greater customer satisfaction. Moreover, PartyPoker’s customer support system is known to be among one of the worst in the online casino industry. This is another major disadvantage of this casino. Unlike other online casinos, it can take some time before your concerns or queries are addressed. Furthermore, their terms and conditions, such as those associated with the VIP programs are prone to changing without prior notice to the users. Despite the flaws in the standards of transparency and consistency in the terms and conditions, PartyPoker is still considered to be amongst the safest places for poker enthusiasts to play web based poker. This has enabled the online poker room to consistently rank high among the other available options for online poker for the past 15 years. Moreover, PartyPoker is governed and licensed by some of the most trustworthy and well-reputed jurisdictions in the world. These factors combined with their newly regulated markets in New Jersey and European countries, make them a safe and secure option for enjoying online poker. In line with the high standards of security that PartyPoker possesses, their payment options are quite secure too. Players can deposit and withdraw money with the confidence that their personal information and other sensitive data are in safe hands. Moreover, PartyPoker gives the users the freedom to opt for any payment option they prefer from amongst the available options. Some of the available options include e-wallets, Ukash, credit and debit cards, bank transfer, and entropay. All these payment options are subjected to different terms and conditions, fees and processing times. However, users can be sure to experience faster transactions as compared to many other online casinos. PartyPoker Casino has a pretty nice website with a neat layout and interface that makes it easier than ever for users to navigate and get the desired information. All games are supported by the instant play feature which allows you to enjoy the games straight from your desktop’s browser. All of the games at PartyPoker are available with all features unlocked on your mobile devices. To do this simply log in to the online casino’s website using your device’s launcher. Alternatively, you can download the mobile app which is compatible with both iOS and Android, and that too completely free of charge. 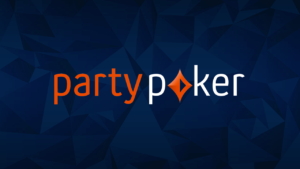 The app can be downloaded from PartyPoker’s website, as they are currently not available on the Apple Store, or Google Play Store. Although there are many features of PartyPoker that can be improved, however, they have the basics right. This is why they continue to remain a popular choice among seasoned and new poker players all over the world.